to get into the office every day i have to flash a badge, with my face on it, at a security gate. it's the magnetic strip that gets me in, but i still have to show the face side of the identification to the guard. i lost my id card last week. i'm convinced it's buried under the piles of photos at my desk. the absurdity of hunting for a 1" x 2" photo of myself among hundreds of photos of furniture and objects is sending me into small fits of laughter every morning, and mild hysteria by the end of the day. i am, literally, looking for myself under these stacks images. 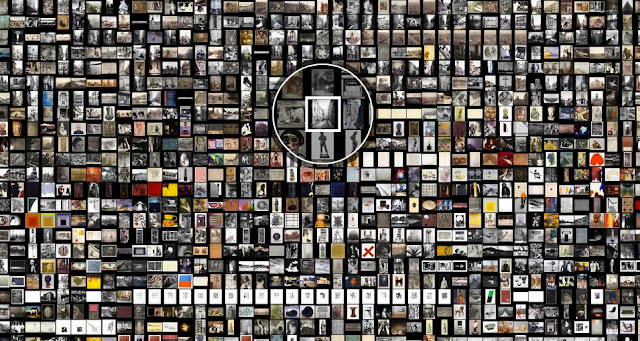 the sfmoma online has a tool for this kind of search. 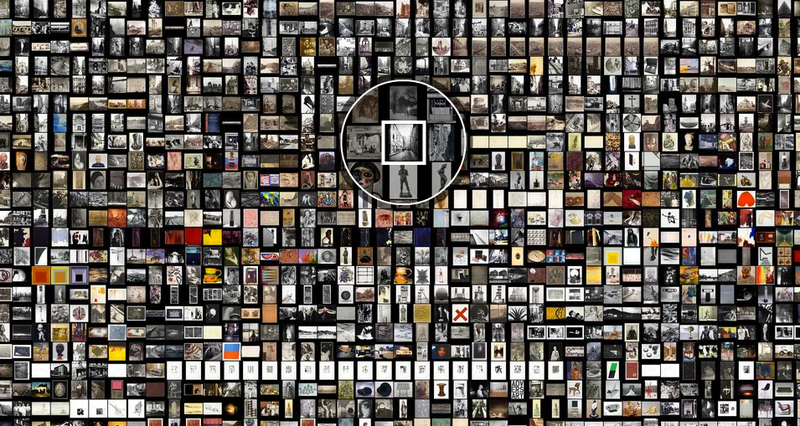 it's called the artscope and it let's you browse a blanket of images on one page. as part of their explore modern art program, they've posted almost 5000 images. 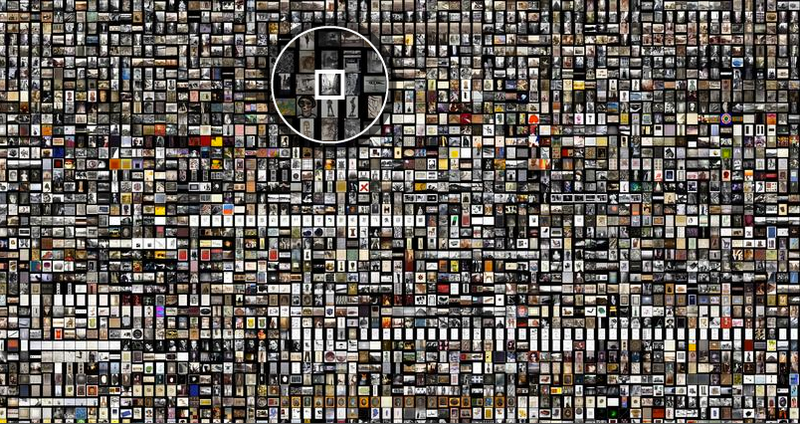 it's a truly innovative way to present an archive. 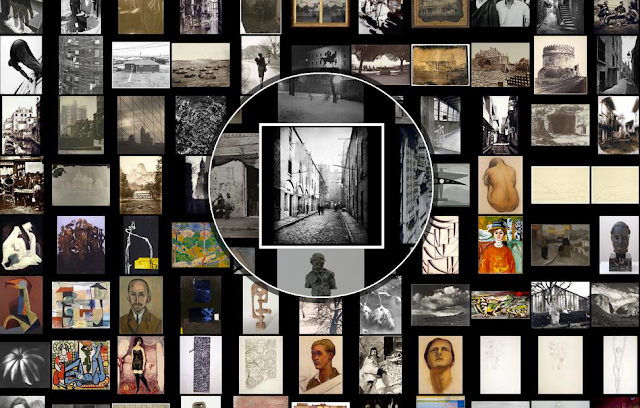 you can browse the images, zoom in and out, access information about the work, all on one screen. each image carries the same weight on the page presenting a strange and beautiful juxtaposition of moments. a photo of a 1948 nelson vanity seat, an untitled 19th c daguerreotype, a dorthea lange photo and a katherine sherwood painting. it's a beautiful kind of digital quilt. i'd like to think, my face is buried some place in there.